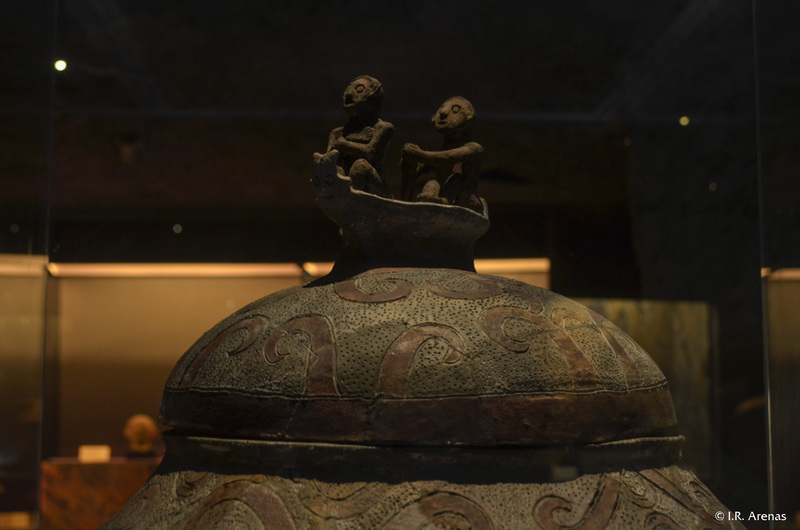 A close-up of the lid of the Manunggul Jar, a funerary pot, reveals a design depicting sea waves. Interesting is the boat that caps the lid. The figure at the bow is the dead soul while the figure at the stern is the boatman. Belief in the journey to the afterlife has long influenced the culture and ways of living of early ancestors.